AtlantaRoofing.Com specializes in commercial and residential roofing installation and roof repairs. We are GAF Certified and an Owens Corning Preferred Contractor. ​At some point during the life of a roof, the need for a retrofit or a complete replacement arises. When your roof has been damaged, needs to be fixed or has reached the end of its serviceable life, a re-roofing option may be necessary. Although it is appealing to continually do repairs on a failing roof as repairs require less labor, material and time (i.e. cost), it is important to understand that there is a point in time where simply doing repairs vs. replacement/retrofit can be causing more harm than good. At that time it is important to select the right contractor to honestly assess the condition of the existing roofing system and provide the best possible short and long term roofing strategies that can include both repair and re-roofing options. AtlantaRoofing.Com has years of experience in re-roofing involving commercial, industrial, and institutional roofing systems on a wide variety of structures. We understand the need to minimize disruption during the project and will work with the appropriate personnel to ensure a “smooth” installation. 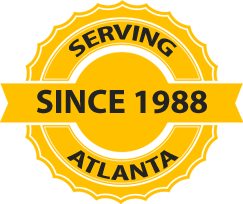 ​AtlantaRoofing.Com is available for tarping a roof or enclosing damaged parts of your facility until further assessment can be made of the damages. ​​Thank you for considering AtlantaRoofing.Com. To schedule your FREE roof inspection give us a call at 770-381-2144.